Aaah, memories of Maui! 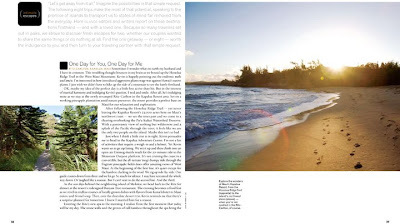 My mini-feature (text and photos) on the Ritz-Carlton, Kapalua is running in the January/February 2009 issue of ISLANDS Magazine! My husband I spent 3 days there back in August as part of an assignment I did on Romantic Getaways. What I wouldn't give to be back there now!